Ensure your loved one has the assistance they need with personal care services in Beaverton, OR. Caring Heart Health & Home Services, Inc. provides care and homemaking services for those in need of special attention. We are licensed as a Comprehensive In-Home Care Agency, the highest level of home health service licensing in the State of Oregon. No matter what your loved one’s needs are, our staff ensures that he or she has the care to stay comfortable and happy. Speak with us today to request our services. In some situations, an individual could require special attention to get through daily life. Whether your aging parents can no longer perform their regular tasks, or you are facing a long at-home recovery after surgery, our caring team is here to help. We offer a free in-home assessment by a licensed nurse, who determines the level of care you or your loved one will need. Our dedicated in-home care staff has extensive experience working with hospice patients, ALS, Alzheimer’s clients, and those with dementia, as well as post-surgical recovery in the home setting. Allow our team to help your loved one maintain their independence by providing professional senior or in-home personal care services. As your parents and other elderly relatives start to age, they often need a little extra help around the house. While you may weigh the benefits of sending your family members to an assisted living facility, there is no reason for your loved ones to lose their independence. Our team of trained professionals provides a wide array of services, including personal care, medication, and homemaking options. Rest easy knowing that your loved one’s health is in good hands. In addition to personal care services, we also offer nursing services. 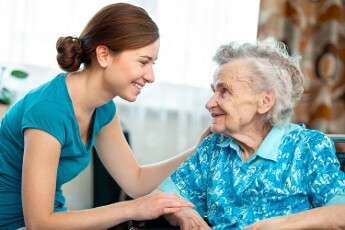 Our staff handles nursing care by delegation or assignment as allowed by law. We provide a thorough nursing assessment and care planning sessions for every individual. As we grow older, many of us struggle to complete daily tasks that were once easy. For example, cleaning, preparing meals, and sometimes even bathing can become difficult at a certain age. That’s why Caring Heart Health & Home Services, Inc. offers personalized care for those that need a helping hand, but are not ready to make the move to an assisted living community. Our approach to in-home care in Beaverton, OR, emphasizes services tailored to each person’s unique needs. Whether we’re providing specialty ALS or Alzheimer’s care or performing basic tasks, we want your loved ones to feel comfortable and safe. Let us know what your aging relatives need in terms of personalized services, and we’ll do our best to accommodate them. If you’re unsure what kind of senior care your loved ones need, we recommend talking to their health care providers for more detailed information. Our staff can also recommend services based on your summary, so be sure to mention any potential areas of concern or special attention. You deserve peace of mind when it comes to your family’s wellbeing, and Caring Heart Health & Home Services, Inc. aims to provide that. Contact us in Portland, OR to learn more about our personal care options for your loved ones. We offer a series of services for individuals throughout the area.